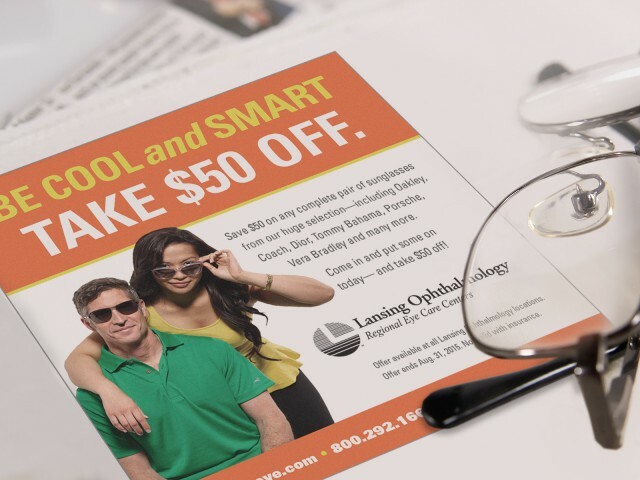 BCP develops the campaign concept and all creative, directs custom photography, and uses a combination of radio, outdoor, print and social media to promote the event. 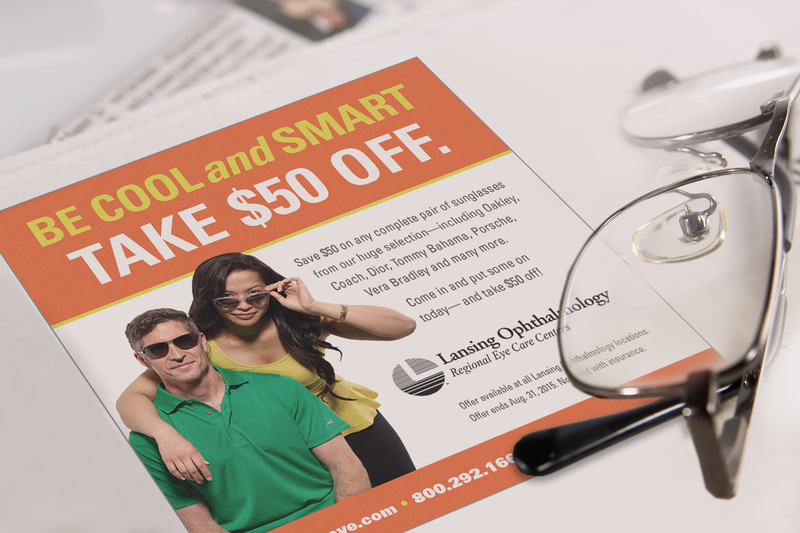 Lansing Ophthalmology has been delighted with the results, as the sunglasses promotion has consistently been its most successful each year. 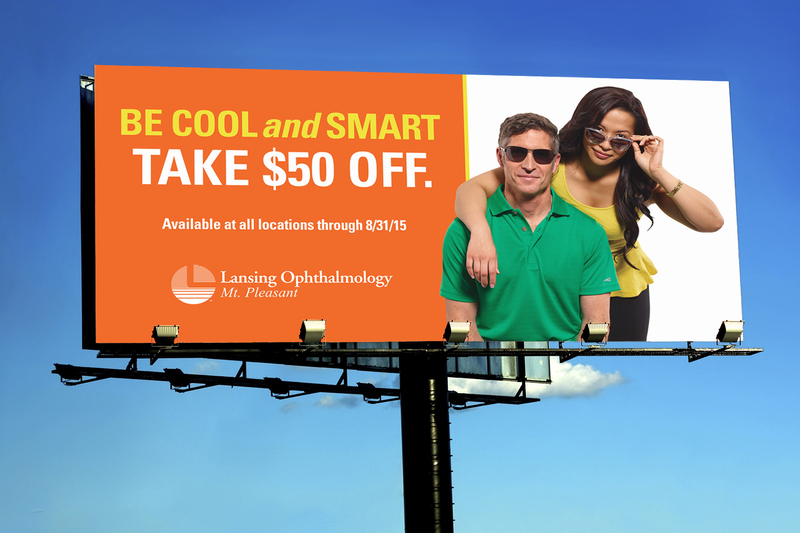 In 2014, Lansing Ophthalmology sold 165 pair of sunglasses directly attributable to the promotion—and, in the process, introduced the practice to a whole new audience.